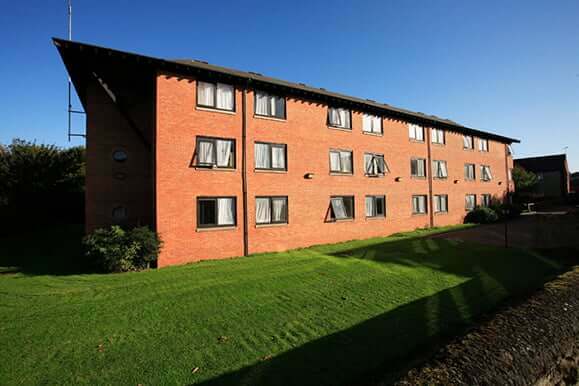 Hailsham House is located on the Hunter Street campus, right next door to the Business School. It is self-catering. The kitchens are located on the ground floor. The kitchens for the ensuite rooms are large and have recently been refurbish. The kitchens for the standard rooms are significantly smaller. All kitchens are fully equipped with cookers, microwaves, toasters and kettles. 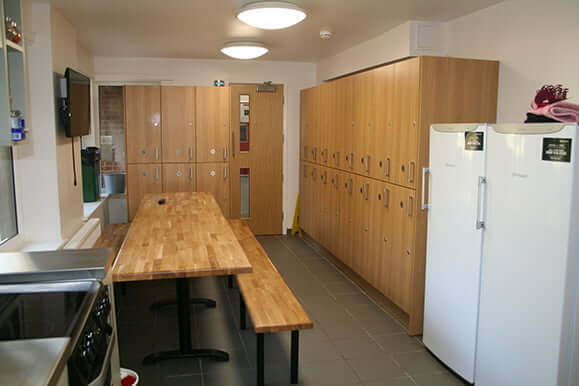 Each resident also has his or her own kitchen locker and allocated freezer drawer. Students are expected to bring their own pots and pans, crockery, and knives and forks. Approximately 20 – 22 students share a kitchen. 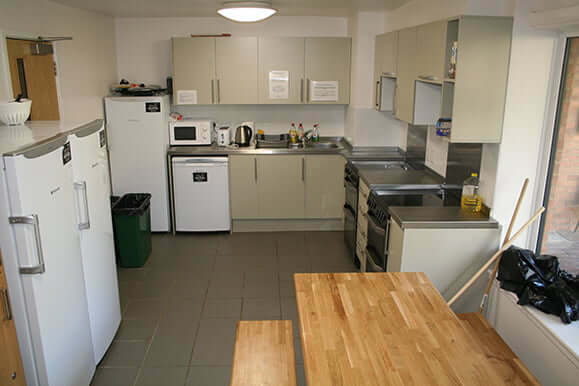 There is an additional ‘mini kitchen’ located on the first floor beside rooms 29 – 36. There is a dining/TV room on the ground floor, which can be accessed by rooms 46 – 88. There are 43 ensuite single bedrooms and 42 standard single bedrooms. These bedrooms are fitted with modern white furniture and contemporary ensuite facilities. The rooms and ensuites vary in size, with the premium ensuite rooms being slightly larger than the standard ensuite rooms. The corner rooms are considerably larger. 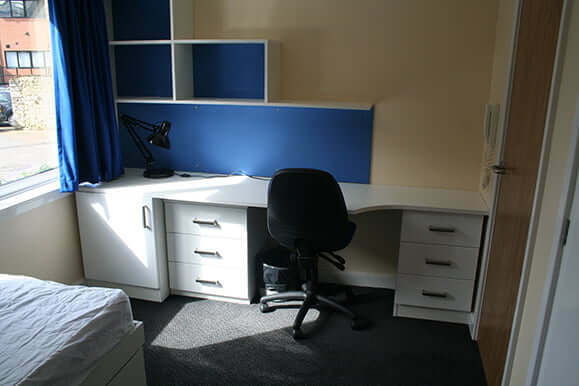 These typical student rooms are very popular as they provide good value for money. As well as all the furniture you would expect to find, the rooms also have vanity units. If you choose to live in a standard room you will be sharing the bathroom facilities. There is usually one bathroom per three/four students. All of the rooms have mini cools and small vacuum cleaners. 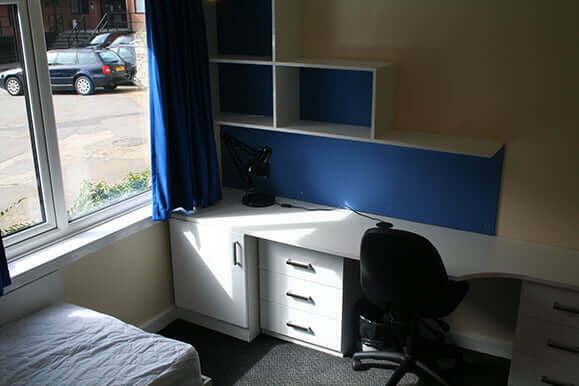 If you are new to the University you will be provided with a bedding pack free of charge. The communal areas are cleaned daily – Monday to Friday (excluding Bank Holidays). To assist the cleaning staff you are required to wash up after yourselves. The launderette facilities are located within Hailsham House.